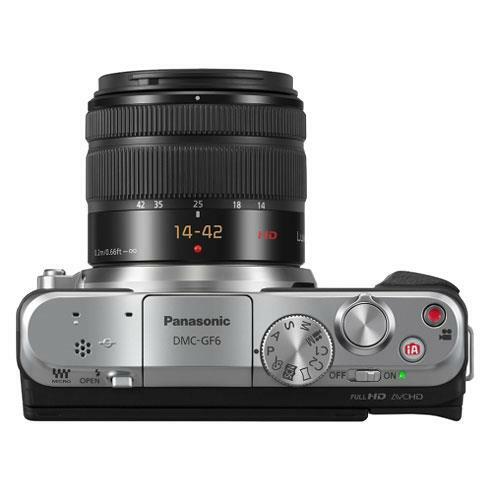 The stylish 16 megapixel Panasonic Lumix DMC-GF6 features a quick start-up and high-speed autofocus, full HD videos in both AVCHD and MP4 format, 3-inch tiltable LCD, Wi-Fi connectivity for easy sharing. 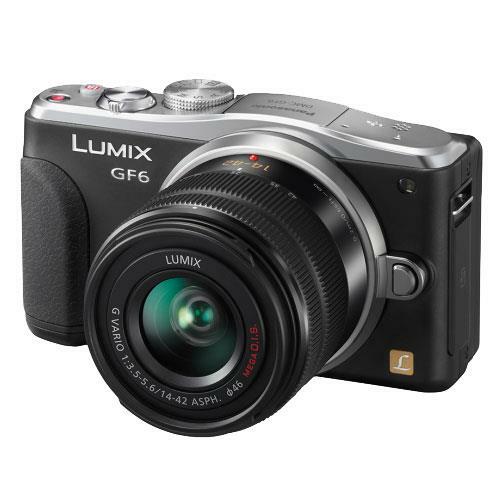 The Lumix DMC-GF6 integrates new 16.00-megapixel Live MOS Sensor and Venus Engine featuring its advanced noise reduction systems. By extending the control level of noise, controllable area of noise is expanded by approx.64x in size and large block of noise is removed. The Multi-process NR works in two separate steps allowing even finer control over noise level. In addition, the limit resolution is enhanced thanks to the precise detail reproduction and advanced Intelligent D-range Control ensures beautiful gradation with wider dynamic range than ever. 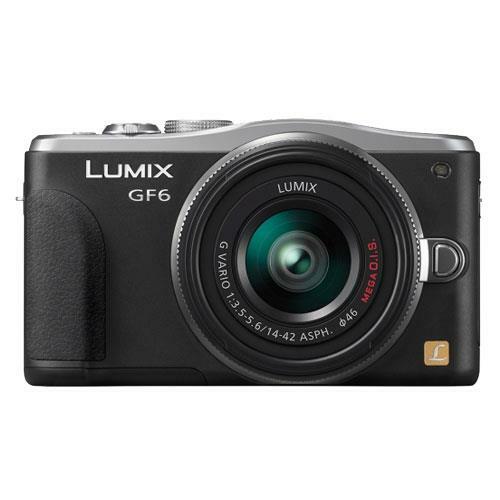 The Lumix GF6 boasts quick start-up and high-speed Light Speed AF making it possible to capture fast-moving subjects clearly. Also, AF Tracking enables consecutive shooting to capture moving subject in sharp focus. Combined with the Full-area Touch AF, it is possible to set focus on any point in the field of view which realizes quick and intuitive focusing operation. In addition, the LowLight AF gains higher performance in such as moonlight even without AF assist lamp to set focus on the subject more quickly and more precisely. The Creative Control with 19 filter effects gives you the expressive power to turn ordinary situations into highly special scenes. The Creative Panorama function lets you apply filter effects to a dynamic vertical/horizontal panoramic image. With the Self Shot mode, you can shoot your own portraits by stretching an arm to hold the camera with the monitor flipped approx.180°vertically. The Clear Retouch makes it is possible to erase unwanted objects or figures in an image by just tracing over them on monitor with a fingertip. With the Wi-Fi connectivity with NFC technology, you can connect the camera to your smartphone/tablet anywhere at one-touch, which makes sharing images much easier. It is also possible to use a smartphone/tablet as a multi-capable remote shutter with a monitor. 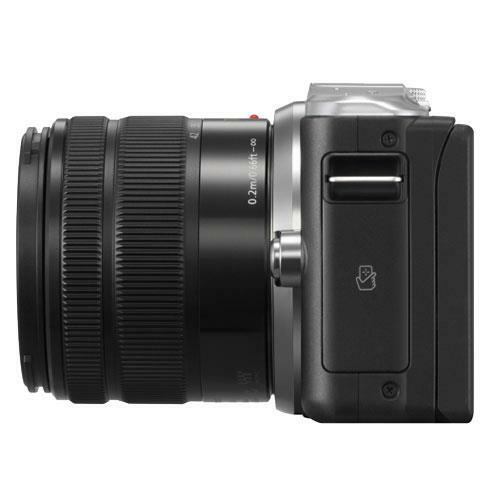 With the Instant Transfer function, photos are automatically sent to the smartphone/tablet right after shooting. On the other hand, both photo and video can be archived to the registered digital equipment such as PC automatically via the wireless access point (router) at home. 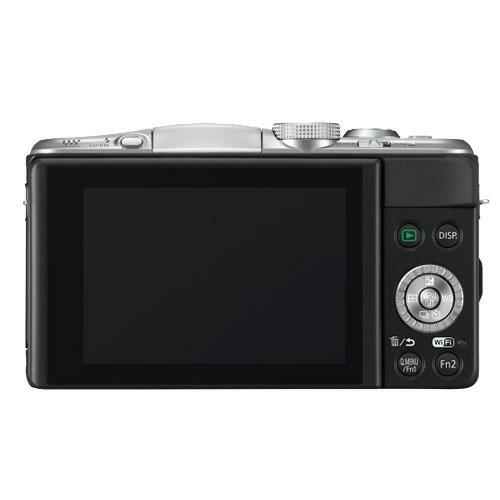 The DMC-GF6 records 1920 x 1080 full HD videos in both AVCHD and MP4 format with full-time AF and high quality stereo sound in the AVCHD format. With a dedicated video record button, you can instantly start recording videos without any having to make any extra setting adjustments. In addition, the P/A/S/M mode lets you enjoy professional-like expressive video recording. The Stop Motion Animation function enables producing a stop motion (stop frame) video in camera with the pictures that are sequentially shot while moving the object by degrees.